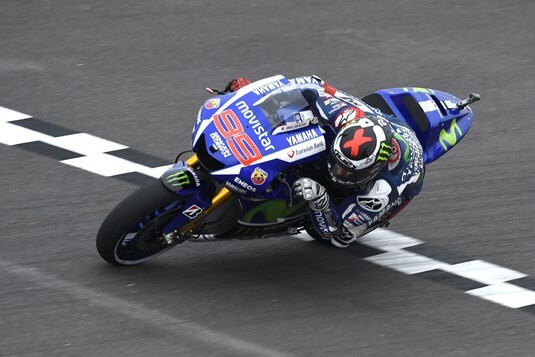 With just a couple of days rest following the Texas Grand Prix last weekend, the Movistar Yamaha MotoGP team were back on track today for the first practice session of this weekend’s GP Red Bull de la República Argentina. The first morning session at the Termas de Río Hondo was taken gently by riders Valentino Rossi and Jorge Lorenzo, the two testing the grip levels as the premier class group added fresh rubber to the slippery circuit. Rossi completed the free practice in 14th and teammate Lorenzo in 20th. The second session saw light rain in the opening minutes, but the drama was short lived and the track quickly dried. The two Yamaha Factory riders gradually picked up their pace, taking over four seconds off their FP1 times as the grip levels rose. The improvements continued lap by lap to end with Lorenzo in sixth, 0.687 from the top and Rossi in ninth, 1.171 from first. Monster Yamaha Tech3 Team rider Pol Espargaro completed a bright start in cloudy Argentina to finish the opening day in 7th position aboard his Yamaha YZR-M1. Despite a cautious start to the day in FP1 due to the dirty track surface, the young Spaniard leapt into action in the afternoon and put in a thorough effort as he began establishing a strong setup for the 25 lap battle on Sunday. Although the weather was gloomy and the rain clouds threatened, only a few small drops fell which was not enough to disrupt the session and so Espargaro plugged away. He concluded the practice with a best lap of 1’39.648, which left him in 7th but only three tenths of a second back from 2nd place. His opening performance today at the fast flowing Autodromo Termas de Rio Hondo leaves him poised for a successful show in qualifying tomorrow. Meanwhile, Britain’s Bradley Smith began his Argentina MotoGP weekend with a finish in 12th place in this afternoon’s FP2 practice as he looks to continue his positive run so far in 2015. The 23 year old wisely saved his efforts for the afternoon session where the track conditions improved considerably and here, he posted a series of consistent laps with the best being a 1’40.195. This time was set on the 16th lap out of 22, as he tirelessly covered more distance than any other rider in the second free practice whilst refining the set up of his Yamaha YZR-M1. The British star now seeks to improve his time further in FP3 tomorrow ahead of the vital qualifying session.